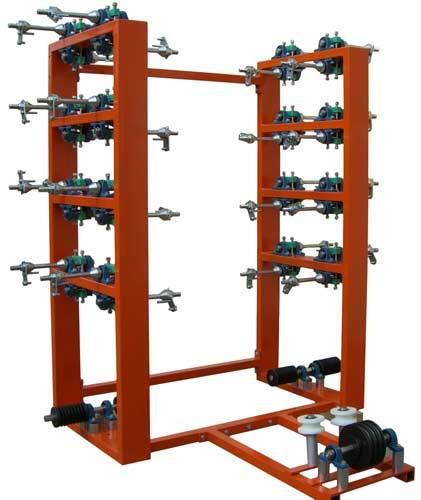 Servo driven spool tensioning system, Tensioners for square and flat (profile) wire, single and multi-spool. 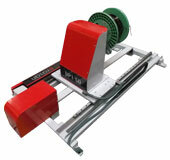 Our standard range of profile wire tensioners can re-reel and tension up to 32 spools of wire simultaneously. For wire sizes greater than 1.8mm, it is possible to cause damage to the insulation layer by applying friction to the wire itself, especially when tensioning wire with silk covering. In order to avoid potential insulation damage, these wire tensioners create tension by applying a braking force to the rotating supply spool, thus protecting the insulation layer. Of course, this approach works equally well whether the wire is round, square, or flat. To meet the growing customer demand, working to improve control of the higher wire tensions required for larger wires and profile. A new generation in profile wire tensioning and de-coiling. Working similar to a foil machine in ?torque following? mode, the torque to the winding axis is monitored and the reverse torque to driven de-coiler is controlled according to the required tension. The operator can program a digital tension value that is measured and kept constant during the winding cycle. The range is available in standalone fixed units similar to the DP series of 1,2,4 up to 32 spool varieties. However as shown above, there is the option to mount the whole de-coiler onto a ball screw carriageway. 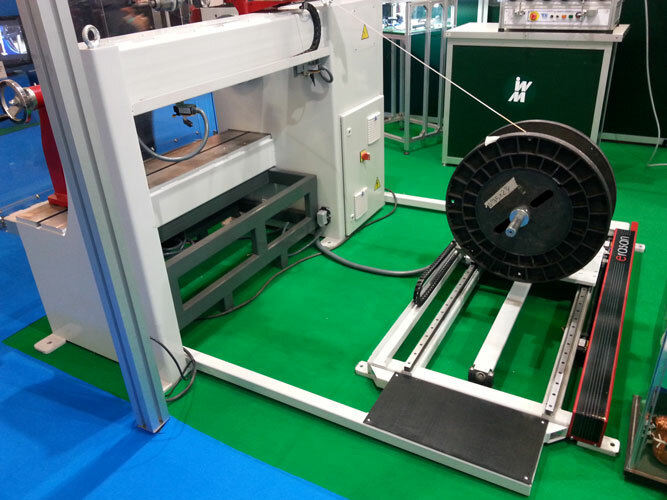 Reducing factory space requirements, the servo-driven de-coiler monitors the exact position of the guider on the machine, so the spool moves the same distance and with the same speed as the machine guider. 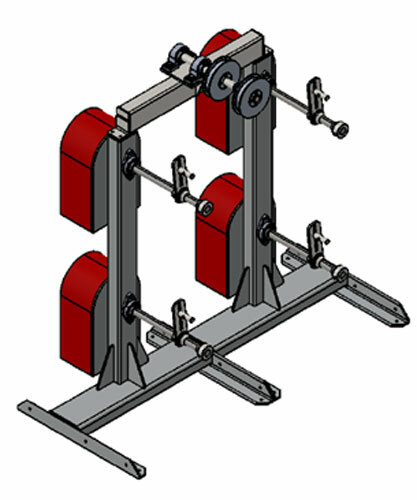 Example layout drawing of 1 spool version - Guider Base (reduced footprint). 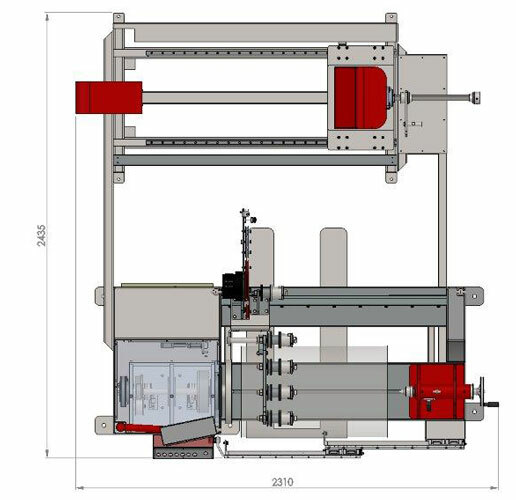 The tensioner can be controlled either from the main winding machine software (this option can only be offered in new machines and must be included in the initial order) or by an external box for use with ANY winding machine on the market.